PSL4 is just around the corner. It is an event the Pakistanis look forward to every year. This year too the event will start on 14th February. All the teams are getting ready to win the trophy and the fan’s favourite Peshawar Zalmi is putting out its cards. Peshawar Zalmi has been one of the most loved teams of the PL since the very first season. Thanks to its owner Javed Afridi as well as the captain Darren Sammy. 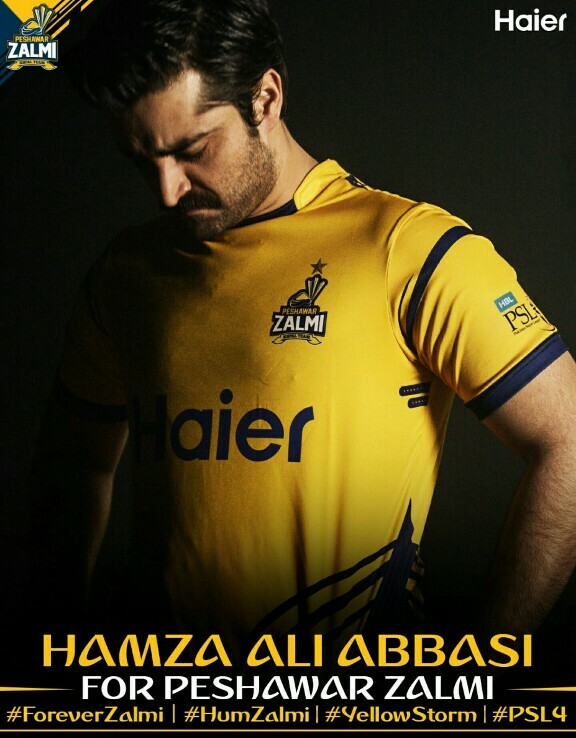 So, Hamza Ali Abbasi and Mahira Khan are surely ready for the PSL 4. Are you?